Purchasing can be a time-consuming and inefficient ordeal, especially when requests for goods and services have to be processed manually using a combination of phone calls, emails, paper catalogs and faxes. Crafted ERP's procurement solution helps companies buy goods and services at the best cost and in a timely manner by saving employees' valuable time with easy-to-use capabilities, reducing costs by channeling purchases to approved suppliers and pre-negotiated contracts, and improving visibility by rendering real-time information into company spend and vendor performance. 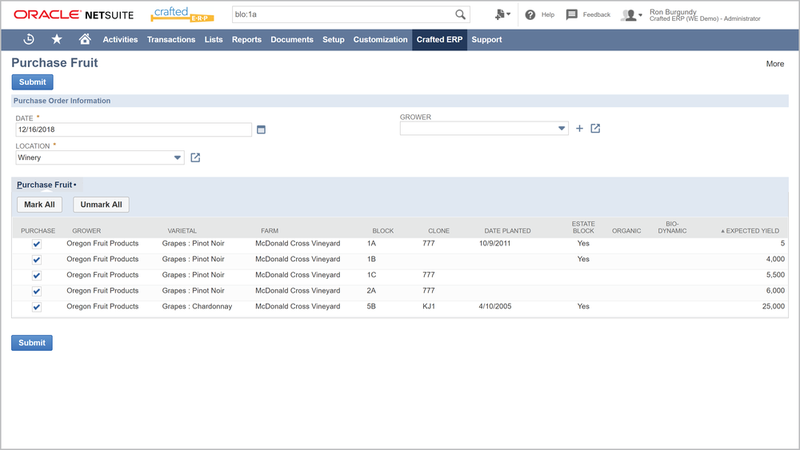 Crafted ERP also streamlines and improves the accuracy of the procure-to-pay process by automating and linking key procurement transactions and providing approval and matching workflows to support internal controls and compliance requirements. Negotiating price and supply agreements with your vendors is a critical piece of your overall procurement strategy and Crafted ERP handles both of these natively. Improve buyer efficiency and accuracy and potentially reduce procurement spending by using blanket purchase orders that define a pre-determined price for a set quantity of items you will buy from a vendor during a time period. The Purchase Contracts feature enables purchasing managers and buyers to use contracted terms, pricing, and delivery schedules when purchasing materials so buyers can automatically take advantage of quantity-based terms and discounts based on an annual volume of goods or services purchased. Crafted ERP offers two approval processes out-of-the-box. The first is a simple approval process based on a dollar amount assigned to the employee. For more advanced approval processes, we utilize the workflow approval routings that come with example workflows to get you going. 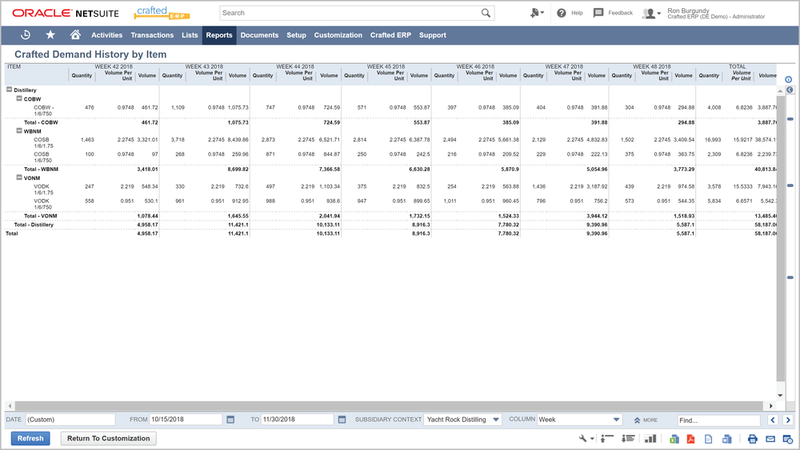 These workflows can be easily modified to take into consideration such things as department budgets, location, item type or project you are purchasing against. The graphical nature of the workflow tool makes it easy to create, monitor and maintain.